I’m thankful for all of the incredible, hard working reporters bringing us the truth and keeping our society intact, as much as they can. (@washingtonpost @nytimes @BostonGlobe and so on, just NOT including Breitbart and Fox). To quote my good friend @TomJoyceSports , "I think roast turkey should be enjoyed more than once a year". Happy Thanksgiving to all of you! ???? 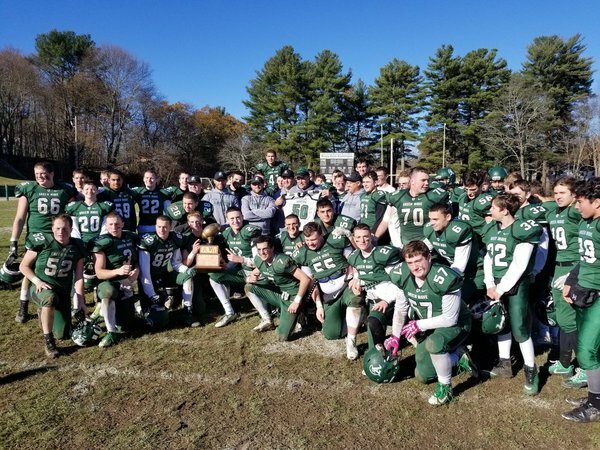 Duxbury's Jack McKim: "It’s been unreal. A dream come true, to be honest. Being a little kid and going to the Super Bowl games in 2010 and 2011, then being able to live that out my junior year, and play with a group of kids like this my senior year, I couldn’t ask for more." Lou Silva: "I could easily do another 10-15 years. I love what I’m doing, I’m in good health and I wouldn’t change it for the world." FINAL: Xaverian 30, St. John's Prep 0. Hawks have now won five in a row in the series. 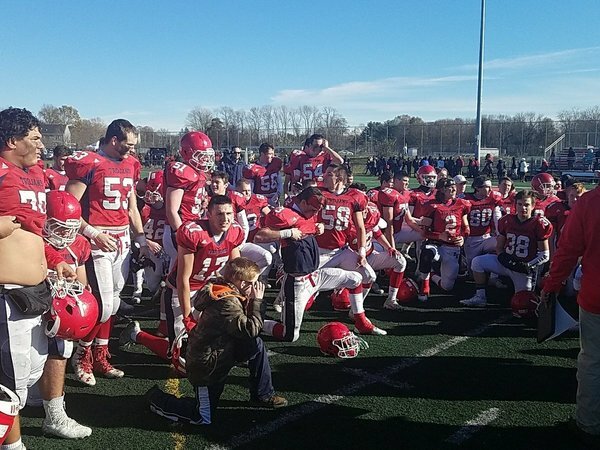 They will play Everett next Saturday at 8 pm at Gillette Stadium for the Division 1 Superbowl. There's a coordinator for Swampscott. Marshfield gets the stop and takes over at its own 40, with 1:34 left in 4Q, up 18-15 over Duxbury. Tim Landolfi and Jack Jacobson both with first-down catches. Duxbury up to its own 39, down 18-15 vs. Marshfield, 4:33 left 4Q. Marshfield punts, and Duxbury takes over at its own 12. Marshfield leads, 18-15, with 5:15 left in 4Q. Final score: Boston Latin 22 Boston English 14. Eddie Kielty picks up a big first down for Marshfield on 4th and 2. Marshfield driving, at the Duxbury 42, up 18-15, with 6:12 left in 4Q.